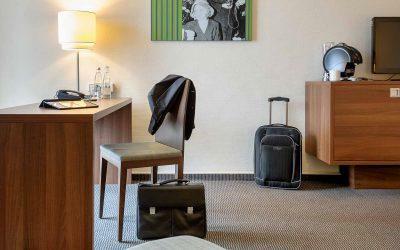 At the 4-star Mercure Hotel Stuttgart Sindelfingen Messe, you choose from standard rooms with high-quality queen-size bed or queen-size bed with a sofa bed. The upscale superior rooms offer free premium WiFi, coffee and tea making facilities in the room and extra bath amenities for extended comfort. The privilege rooms you welcome you with a high-quality queen-size bed, sofa bed, hot beverage machine and a free daily newspaper in the morning. In this category, there is also a free late check-out. 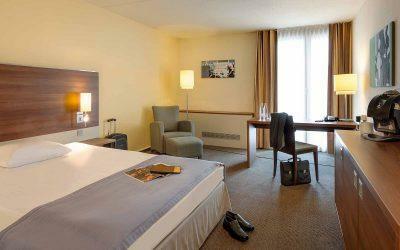 In each of the 186 rooms you can expect floor-to-ceiling windows with a French balcony, air-conditioning and free WiFi. 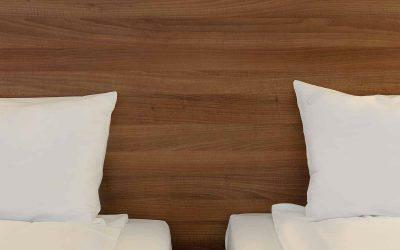 Two children under the age of 16 stay for free in their parents’ room, a second room for children is 50% less. Even your pet is welcome for a small fee (10 EUR/night).